Neo-Nazis in the Frankfurt police? German state police are investigating the possibility that a right-wing extremist network  may have infiltrated the Frankfurt police force. The investigation was prompted by a threatening fax containing private information sent to lawyer Seda Basey-Yildiz, who was involved in the trial against right-wing extremist group National Socialist Underground . After discovering that her private information had been unofficially accessed from an officer’s computer, authorities suspended five police officers  on suspicion of sharing neo-Nazi messages and sending the fax. London Metropolitan Police have trialled facial recognition software  in Soho, Piccadilly and Leicester Square. Members of the public were told they could decline to be scanned and if a match was made additional checks were needed before police could detain a suspect. The trial was conducted overtly , with information posters put up in each district and the scanning equipment contained in a bright green van. Despite this, many Londoners apparently remained unaware of the trial. It was recently revealed that Taylor Swift was using the technology at concerts to monitor known stalkers . 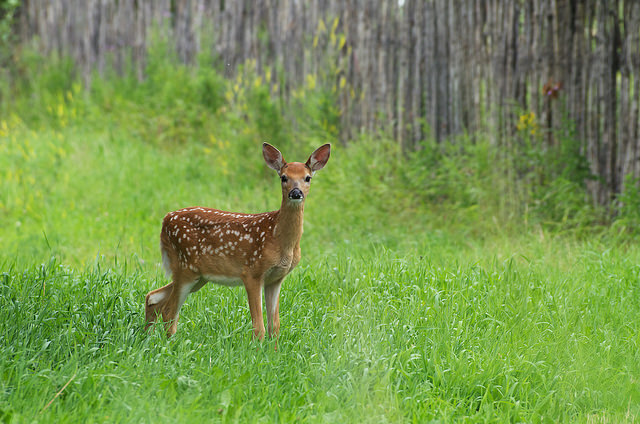 A Missouri judge has ordered a convicted poacher to watch the movie Bambi  at least once every month of his year-long prison sentence for illegally killing hundreds of deer. David Berry Jr was one of several arrested in a nine-month investigation involving several US states and Canada, but he was the only person to receive the unusual judicial stipulation. The Israeli government’s ministerial legislative committee has given preliminary approval to a bill proposed by the Jewish Home Party  to expel families of Palestinian terrorists from their homes within seven days of an actual or attempted terrorist attack. The bill, which is now in the Knesset  awaiting formal parliamentary approval, would force the families to relocate to other parts of the West Bank. However, the proposed law has come under fierce attack from Attorney-General Avichai Mandelblit, who argues that it is illegal under both Israeli and international law. China, Pakistan and Afghanistan have signed a memorandum of understanding  on counterterrorism cooperation in Kabul. The three countries also urged the Afghan Taliban to participate in the Afghan-led peace and reconciliation initiative, and pledged to strengthen the use of the existing communication channels to promote cooperation and training. China is helping Afghanistan set up a mountain brigade  in the Wakhan Corridor to boost counterterrorism efforts. A civil engineer in Newcastle, England, has been sentenced to seven years in prison  for sharing terrorist material on his Facebook page that ‘encouraged others to carry out terrorist activity’. Abdulrahman Alcharbati was also found to be in possession of a bomb-making manual. Facebook suspended his account eight times before it was permanently closed in March 2017. Detective Chief Superintendent Martin Snowden said sharing IS propaganda on social media helped ‘radicalise, encourage support and provoke individuals to carry out attacks abroad and in the UK’. US to break Western Sahara stalemate? US National Security Advisor John Bolton announced the Trump administration’s new Africa strategy, weaving in a largely unnoticed but highly controversial call for a referendum  to settle the protracted Western Sahara dispute . Despite decades of UN-facilitated efforts, Morocco and the Polisario Front remain in a territorial stalemate. Bolton said the administration is ‘frustrated ’ with the situation and will not continue to support initiatives  that fail to reach their objectives. A land swap  between Chechnya and Ingushetia has been upheld by a Russian court. The controversial agreement sparked mass protests in Ingushetia. The opposition party took it to the autonomous region’s constitutional court where it was ruled invalid . However, at the request of Chechen and Ingush leaders, Russia’s highest court reviewed the decision and ruled that it was valid under Russian law. Russia is building military infrastructure and relocating soldiers  to the disputed Kuril Islands, souring relations between Moscow and Tokyo. The two countries are technically still at war , with neither accepting a World War II peace treaty until the Kuril dispute is resolved. In order to counter increased threats from Russia and China, Japan is buying more F-35 jets  and acquiring other air capabilities. Scientists in New Zealand are planning to deploy  underwater gliders to study ocean currents and weather patterns by providing reports on subsurface variations in temperature and salinity. The robots will be used as forecasting tools to predict marine disasters and will study how nutrients, sediments and pollution spread in oceans. They may also be used to improve understanding of marine diseases, heatwaves and the impact of plastic pollution. The initiative was motivated  by the 2011 Rena oil spill in the Bay of Plenty. Facebook has more than tripled  the number of partners it has for its disaster maps initiative since it launched in 2017. The feature allows users who have their location services enabled to provide information for Facebook’s density, safety-check and movement maps. The data is used to inform decision-making during disaster-relief efforts. Facebook has been mired  in several controversies this year, but its ‘data for good’ team, which is responsible for the disaster maps initiative, has been very successful in enlisting support from UN agencies and non-profit organisations. The Japanese public has voted  for the kanji character denoting ‘disaster’ to represent 2018, symbolising the multiple natural calamities  that hit the nation this year—including floods, earthquakes, typhoons and heatwaves. The disasters were partly behind the Japanese economy’s 1.2% contraction  in the third quarter. Rebecca Moore, Aru Kok, Georgia Grice and Aakriti Bachhawat are research interns at ASPI. Image courtesy of Mark Iocchelli on Flickr.